The firearms of Samuel Colt, who opened his first plant in 1836 in Paterson, NJ, appeared in key moments in American history, including both sides of the Civil War. Years later, the Colt Single Action Army Revolver, introduced in 1873, was known as "the gun that won the West." Among the American West's icons who carried a Colt was Army scout and buffalo hunter William "Buffalo Bill" Cody. His Colt model 1873 Frontier Six Shooter Revolver sold for $40, 625, including the buyer's premium, on June 14, 2014 through Heritage Auctions. It's one of only five known Colt Single Action Army Revolvers and the only Colt Frontier Six Shooter documented to have belonged to him. 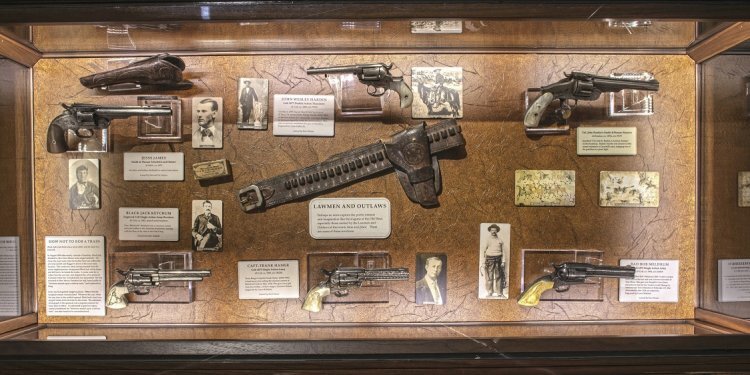 Cody may have purchased the revolver at the famous firearm seller Hartley & Graham in January 1883 while on extended stay in New York City with his famous theater troupe, according to the auction house. The 1873 Colt Frontier Six Shooter Revolver gun belonging to William Frederick "Buffalo Bill" Cody is seen in this file photo at an action in Texas on June 5, 2014. Another Colt firearm owned by American gangster "Al" Capone sold for 9, 080 in June 2011 in London. The nickel-plated six-shot double-action revolver came with an original personal letter from Madeleine Capone Morichetti, the widow of Capone's brother, Ralph Capone, confirming that the gun "previously belonged to and was only used by Al Capone while he was alive." A Colt .38 revolver once owned by notorious gangster "Al" Capone, is displayed at Christie's auction house, London, June 21, 2011. Other famous "proponents" of the gun company include Wyatt Earp's friend and lawman William Barclay “Bat” Masterson, World War II General George Patton and President Theodore Roosevelt, Colt's website states. Now Colt Defense, headquartered in West Hartford, Connecticut, has found itself with more debt than it can handle. However, according to its bankruptcy filing dated Sunday, the company has $20 million in financing to continue operations during the bankruptcy proceedings. Sales of its handguns and rifles have slid. The company lost a decade-long government contract in 2012 that supplied the Army with the M4 carbine rifle, edged out by competitors like FN Herstal and Remington.